A Robert Passal interior is never defined by any one era, style or approach. Rather, it evokes personal comfort and sophistication. Timeless, collected, composed, and curated are words often used to describe his aesthetic. Drawing from his own experiences, travels and keen insight, Passal constantly hones his skill as a designer. When working with clients, he selects fabrics, furnishings, art and antiques that represent each person’s individuality. The finished product is a comfortable, enduring, yet richly layered space that breaks from the mundane to become the extraordinary. He believes in “MIP” Making It Personal for each of his clients. He began his career working for antiques dealer John Rosselli, which served as both design boot camp and graduate school. This experience was a hands-on tutorial in furniture, interior design and decorative arts. Clients currently range from professional athletes to celebrities, financiers, real estate developers, corporate leaders and homemakers around the country. 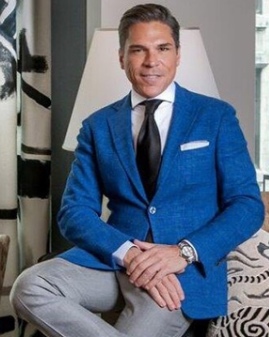 He is currently at work producing lines of fabrics and furnishing with his signature look in an effort to allow his aesthetic to be available to the general public and, personalize homes around the world.